Great one person and gear tent or two person tent without gear. 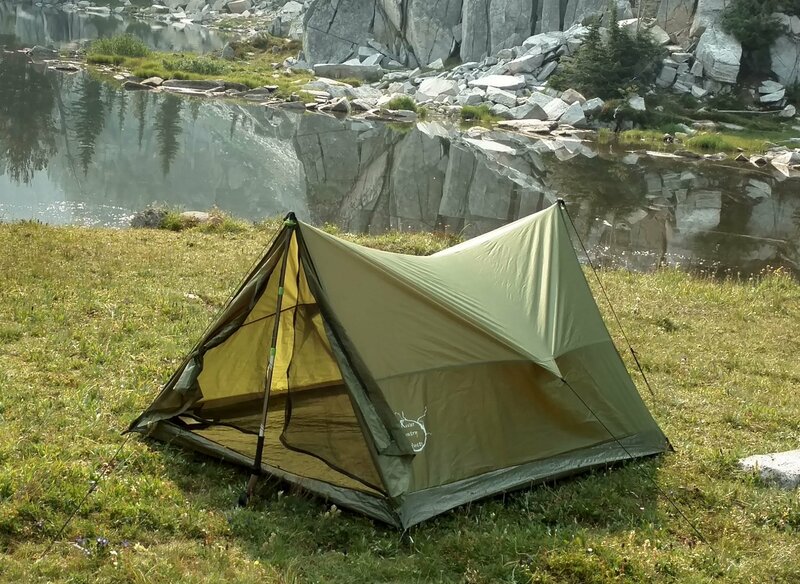 Trekking Poles are NOT included (they are included in the Trekker Tent 2 Combo pack also here on Amazon https://www.amazon.com/dp/B07BNQXKDN ), this tent is intended for use with your own Trekking Poles, but can be used with almost any stick that is over 42 inches tall. 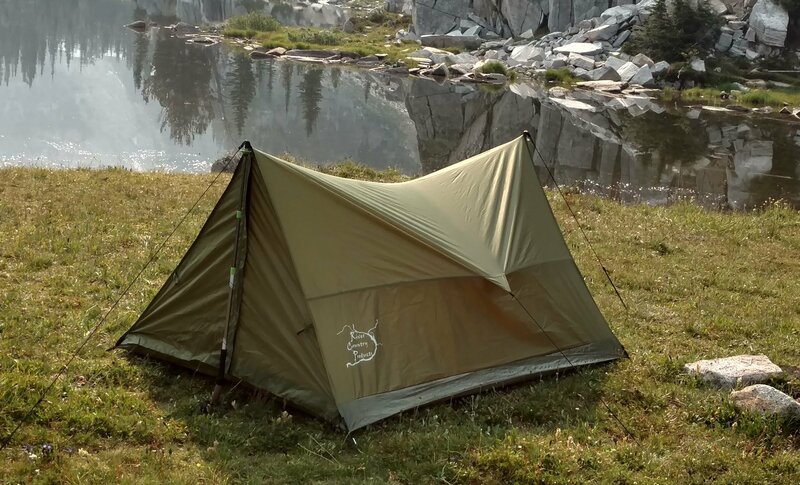 This 2 lb 12 oz tent is one of the lightest backpacking tents on the market. At 7 feet long, 62 inches wide, and 42 inches high it also has more room than any tent in the ultra light category. Roomy for One but comfortable for Two. Does well in any weather. Compact so it can fit easily in your backpack or bug out bag. Easy to pack. Comes with 8 metal stakes and carrying bag, Poles are not included (they are included with the Trekker Tent 2 Combo Pack available here https://www.amazon.com/dp/B07BNQXKDN). 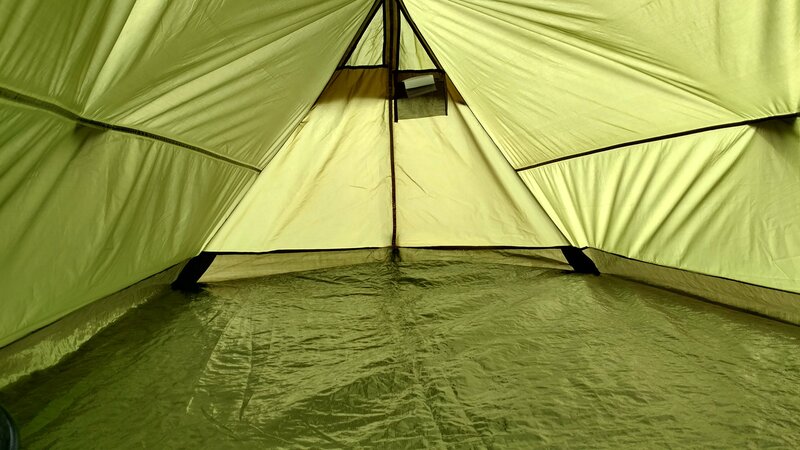 Important Note: This tent is intended for use with trekking poles, no poles are included. However if you forget your poles it works fine with most any stick longer than 42 inches or can be tied between two trees. Total weight is 3 lbs 2 oz with carrying bag and stakes. 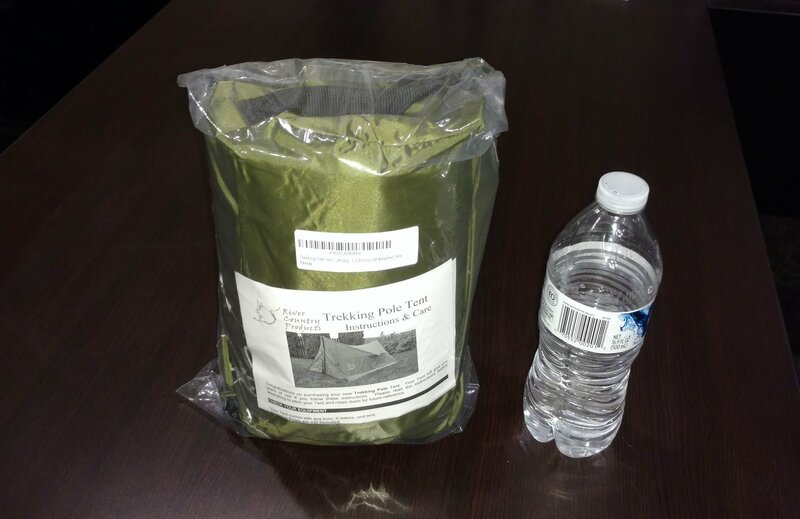 Trekking Pole Tent, backpacking tent, camping tent, hiking tent, light weight tent, compact tent, ultra light tent. No Poles means No Problems, most tents come with cheap fragile poles which are the first things to break and make the tent worthless. 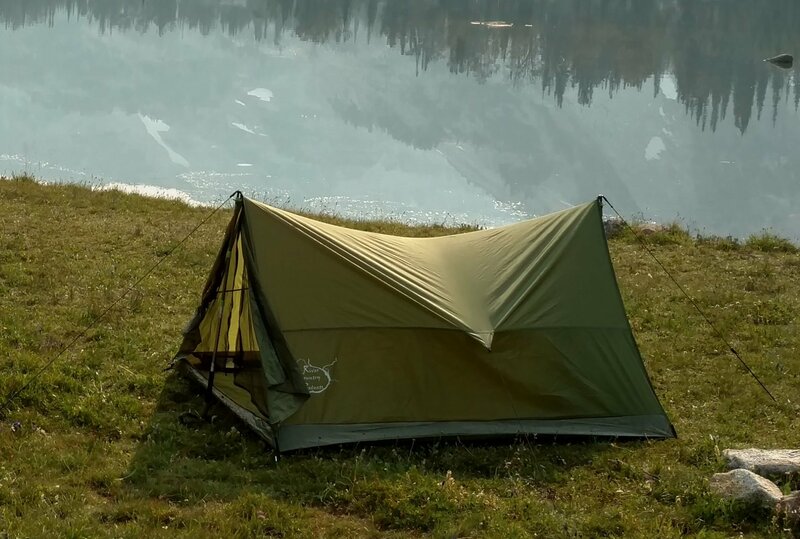 Because this tent will work with any trekking poles or even any stick or tied between two trees, no poles means no problems. 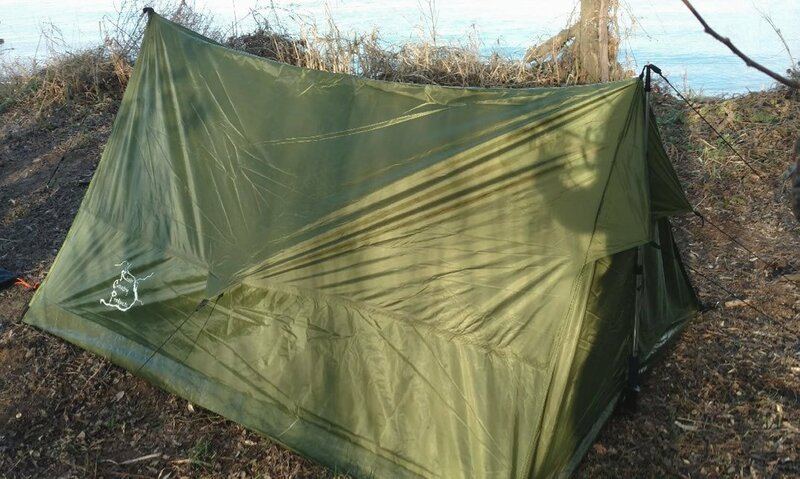 With no poles to string through the tent this tent is super fast and simple to set up, just stake down the corners and put in the trekking poles and it can be set up in as little as 1 minute. 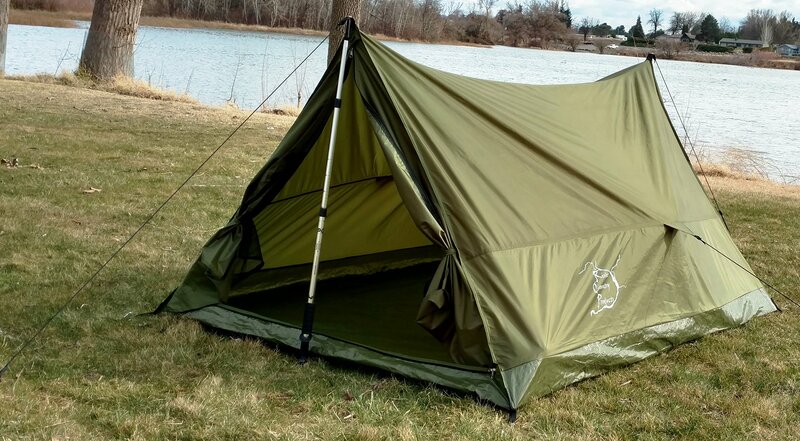 This tent does not include the aluminum stakes shown in one of the reviews, it comes with metal stakes. Aluminum stakes are sold separately or are included in the combo pack.. 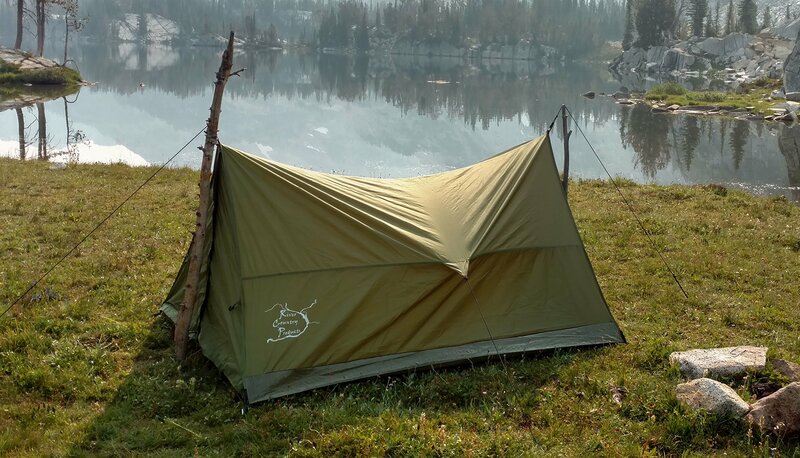 This Tent includes 8 metal stakes, the ultralight red aluminum stakes shown in one of the review images are sold separately.